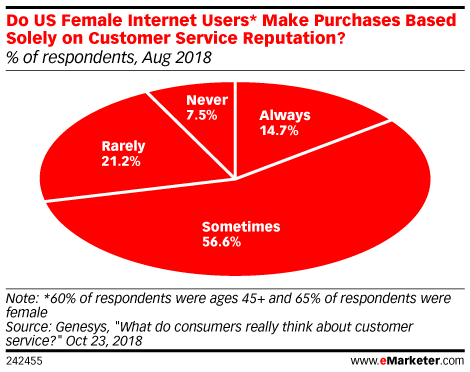 Data is from the October 2018 Genesys report titled "What do consumers really think about customer service?" 1,000 US internet users ages 18+ were surveyed online during August 13-28, 2018. 65% of respondents were female and 35% were male. 40% of the respondents were ages 55+. Genesys is an omnichannel customer experience company.